Citation: Prasanalakshmi.B,Kannammal.A,Sujith Roy.S. (2014). India Card for Securing and Estimating the Nation International Journal of Computer Science and Engineering Communications,Vol.2,Issue.1,pp.67-70. INDIA- Integrated National Dwellers Identity and Authentication (INDIA) card is designed with utmost care to protect the nation from intruders and also to protect the nation’s economy. This card involves the details of the citizen with Date of birth as the Public key and the digital key extracted from the palm vein- a biometric trait along with two other biometric trait, palm print and hand geometry. The encrypted data is to be watermarked in the face image and finally stored in the smart card. This card also facilitated the Global positioning system to trace the people’s location. This card is to be used in the citizen’s transaction right from the lower level i.e from grocery purchase, Electricity bill, Ration purchase etc. to high end purchases like land, building, and business investment. The returns / profits earned are also accounted since the bank accounts are tracked over through the card. This card implementation would provide better security to nation’s people and economy. Keywords:Smart card, INDIA, encryption, Palm vein, Palm print, Hand geometry. National security is on high demand. A person from abroad has no identity of his stay or movements within the country. Person boarding INDIA is at no instance traced for their presence or their day to day activities. Even if they are involved in illegal activities against the nation’s security, it might not be predictable by the security forces to track on the activities that have been carried out against nation’s security. Even, Indian citizens are untraceable for their illegal movements. Also Income for the country, as a partial contribution from individual is being hidden by many citizens is well-known to everyone nowadays. This income based tracking of an individual in transaction involving lump sum amount. The transactions which involves amount above a certain limit fixed by the government as average income per day of the country are to be made only by providing the card which updates the citizen’s transactions for solving monetary issues. Thus to implement the project, the following activities are to be taken up: 1. Develop an integrated Biometric system which scans the three biometric traits and stores them in individual databases as templates . 2. Design an Encryption principle of a biometric trait and watermarking technique of encrypted biometric trait with the face image . 3. Calculation of monetary sources and expenditure for the purpose of tax deduction. 4. Design a tracking system to find the position and movement of the individual. 5. To develop a smart card architecture to identify and authenticate the users ie. The citizens . It is envisaged that the private and government sectors including shopping malls, Jewelry shops, Banks, ATM centers, SIM card sales centers, Land registration office, Employment office, Election office, Taluk office and other sectors, where illegal activities may rise are to be integrated under the supervision of the government, in order to build security and to track the individuals status of income-expenditure and also his location in case of detected crime. Technologies used in the biometric ID card includes Biometrics, Public Key Infrastructure (PKI), and Smart ID Cards. The Biometric entity used is a Fingerprint biometric captured for 10 prints and Palm vein, the 4 best fingerprints data on card chip. The PKI used provides confidentiality, Integrity, non-repudiation, and authentication, Infrastructure for CA, certificate repository and CMS. PKI is also used to authenticate servers and users of the system with PKI services for the population. Two certificates are used one for authentication and another for digital signature. Encrypted messaging makes the future use for confidentiality. It also uses one user pin. PKI is activated upon user’s request on card delivery. The Smart Cards use ISO 7810, 7816-1, 7816-2 compliant, which is used as an ID card to proof the person’s identity. Each person is identified by a unique 15 digit number with Country code (3), Birth date YYYY (4),Random number (7), Check Digit (1) as in eg. 784 2005 1234567 9. This card is to be used for e-commerce and e-government applications using PKI and biometrics. The ID card is valid for 5 years. The technical specification of the smart card includes Java-based OS, 32 KB EEPROM, 136 K ROM, crypto co-processor, Multifunction and PKI ready, Applets: ROM:ID+PKI,EEPROM: MoC. The card contains person’s data, portrait, 4 fingerprints data, certificates and private keys. This is compliant with Java Card 2.1.1 & GP card specs. V2.0.1.Four data containers are provided for e-purse, labor, health and defense. B Prasanalakshmi, A Kannammal,"A secure cryptosystem from palm vein biometrics",Proceedings of the 2nd International Conference on Interaction Sciences: Information Technology, Culture and Human,Pages: 1401-1405, 2009. B Prasanalakshmi, A Kannammal,"Secure cryptosystem from palm vein biometrics in smart card", The 2nd International Conference on Computer and Automation Engineering (ICCAE),IEEE,Volume:1,Pages: 653-657,2010. 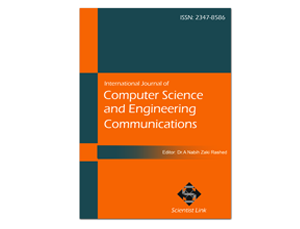 B Prasanalakshmi, A Kannammal, R Sridevi,"Frequency domain combination for preserving data in space specified token with high security", in Informatics Engineering and Information Science, Springer Berlin Heidelberg,Pages:319-330,2011. B Prasanalakshmi, A Kannammal, B Gomathi, K Deepa, R Sridevi,"Biometric Cryptosystem Involving Two Traits And Palm Vein As Key" Procedia Engineering, Elsevier,Volume:30, Pages: 303 - 310,2012.